Cherishing The Gift Of Friendship Through A Cancer Bout In 2004, Peter Obetz was in the middle of a divorce when he was diagnosed with esophageal cancer. He says the news was not only a wake-up call for him to change his life, but it also brought him closer to his friend Jeff Jarrett. He's been cancer-free since 2009. 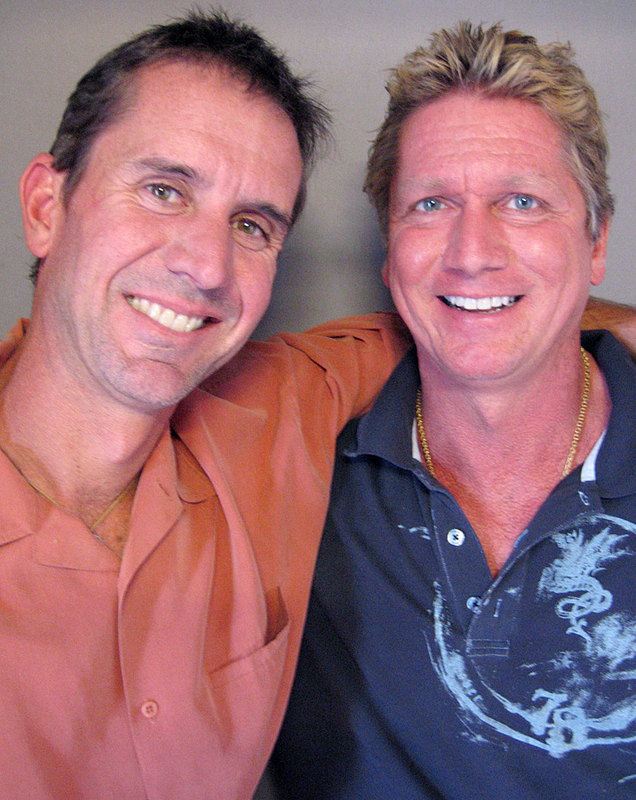 Peter Obetz (left) and Jeff Jarrett met in 1998 and are still close friends. Peter was diagnosed with stage IV esophageal cancer in 2004. He was declared cancer-free in 2009. 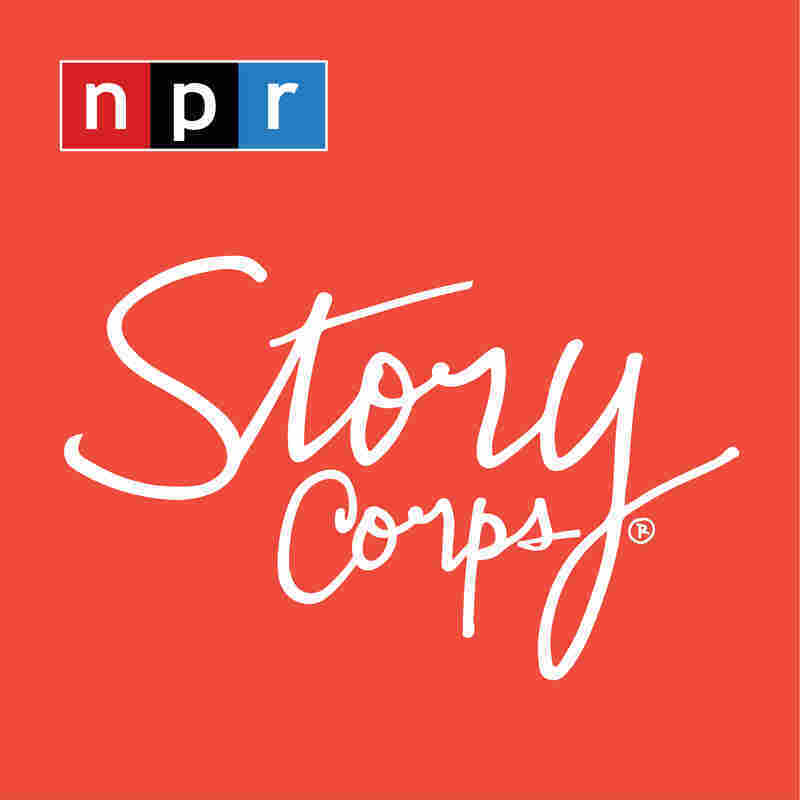 They visited StoryCorps in Kansas City, Mo. "Food would get stuck down my throat, and it got worse and worse, so I met with my doctor. I had a tumor on my esophagus wall," says Peter, 48, during a visit to StoryCorps in Kansas City, Mo. His doctor told him surgery carried a 10 percent risk of death. "I remember telling the doc, 'You mean to tell me like one guy on my softball team isn't going to make it?' There's 10 guys on the team. He said, 'Yeah, that's pretty much it. We can either do the surgery tomorrow or we can wait till Tuesday.' "
That's when he called his best friend, Jeff Jarrett, 52, who told him he needed to get the surgery as soon as possible. "I spent the day with your parents. And the surgeon met with us just after the surgery was completed and drew a graph," Jeff says. The graph showed Peter's percentages of survival over time. "It started out at 90 percent on the day of the surgery and fell to 15 percent after five years," Jeff says. "That was my scariest moment — that there was only a 15 percent chance that I was going to have my best friend with me five years from now. The next day, you'd caught your mother with that little graph that the doctor had drawn and she wouldn't show it to you. And so I'd come in, and you said, 'I want you to sit down and tell me everything. So I did.' "
"I remember saying, 'I'm toast,' " Peter says. "Your mom had said that to the surgeon. The surgeon said, 'No, he's lightly brown. He's not toast,' " Jeff says. Cancer was a wake-up call Peter says he may have needed. "I was in a job where I was miserable, and it gave me the permission to leave," he says. "I went from making a lot of money to making very little and being happier." He sold his big house and moved to an apartment. Not long after he moved, a unit downstairs opened up and Jeff moved in. "The only time usually that you live right next door to your best friend is when you're a kid because often your next-door neighbor is by default your best friend," Peter says. "Exactly. Second-graders aren't that picky," Jeff says. "When I think of every aspect of my life: My marriage has changed, my job has changed, where I live has changed. Our friendship is really the only thing that's constant," Peter says. "That's probably the greatest gift that you could've given me." "When you were sick, everybody wanted to say, 'Peter, I love you so much, I'm so grateful for our friendship,' " Jeff says. "But I feel so lucky that if anything would have happened to you, there was never any ambiguity about how you feel about me or I feel about you. I love you very, very much." Peter's been cancer-free since 2009.